Final artwork for the album. 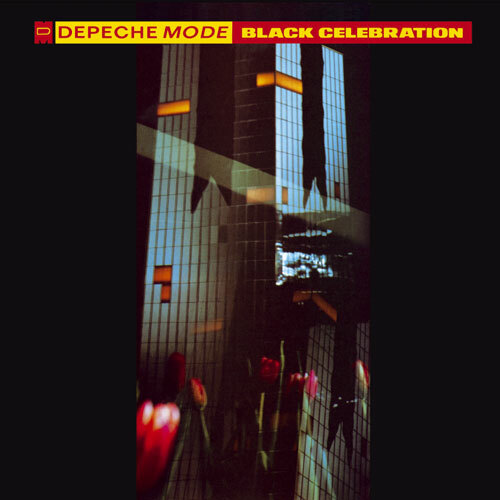 Black Celebration is the sixth studio album, originally released on March 17th, 1986. It is notable for further cementing the darker atmosphere for which the band is widely known for. Of these tracks, Shake The Disease and Here Is The House are in circulation and easily found on the internet. The rest have not been released. 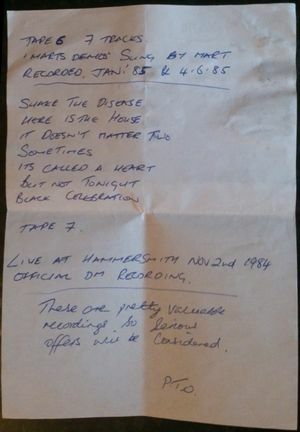 Reportedly, the demo for It's Called A Heart is "like a fast synth, organ, just Martin singing; ... has Martin periodically singing the backing vocal "let me tell you" ". Shake The Disease would not be included on the final album, but was instead released as a single, promoting the Singles 81-85 compilation. The following change was made to the lyrics from the original demo. Here Is The House also features some minor changes to the lyrics.